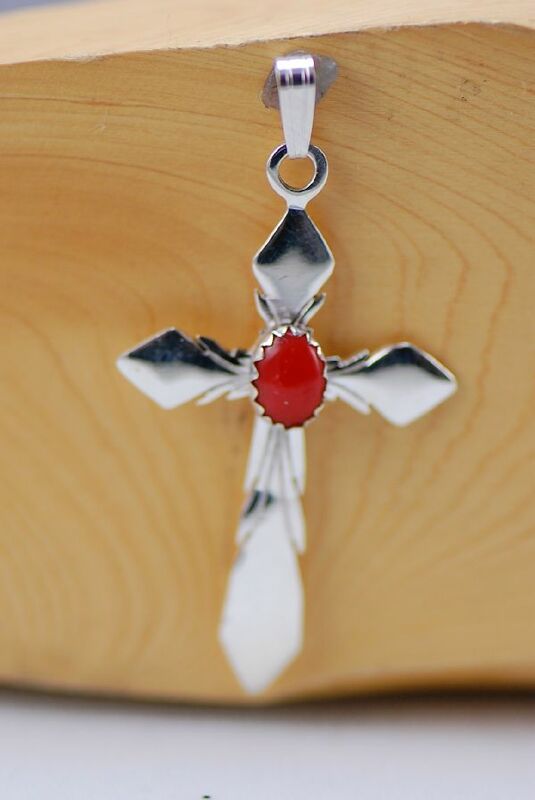 This elegant sterling silver cross is designed and handmade by Cecilia Ilue, Zuni. Cecilia is the daughter of Horace Ilue. 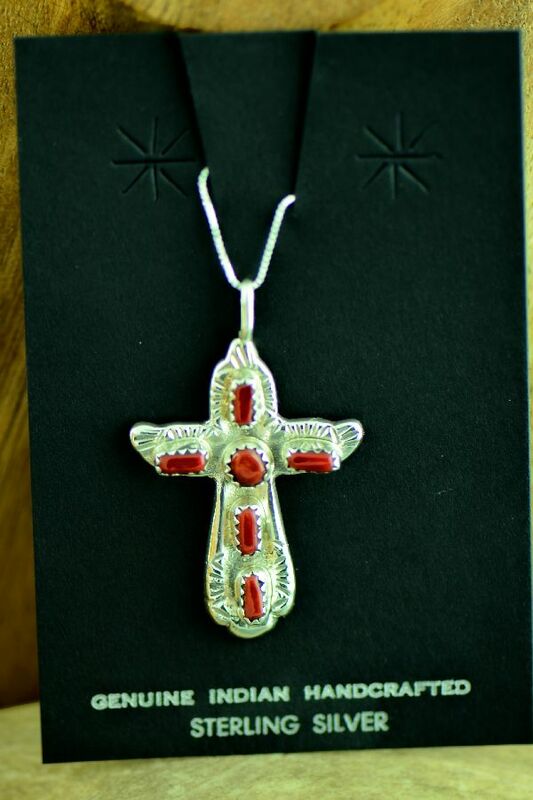 There are a total of 6 Natural Mediterranean Coral stones set in a saw tooth bezel surrounded by nice hand stamp work. The cross measures 1-3/4” tall (including the bale) by 1-1/4” wide. The bale will accept a chain up to 1/8” in diameter. 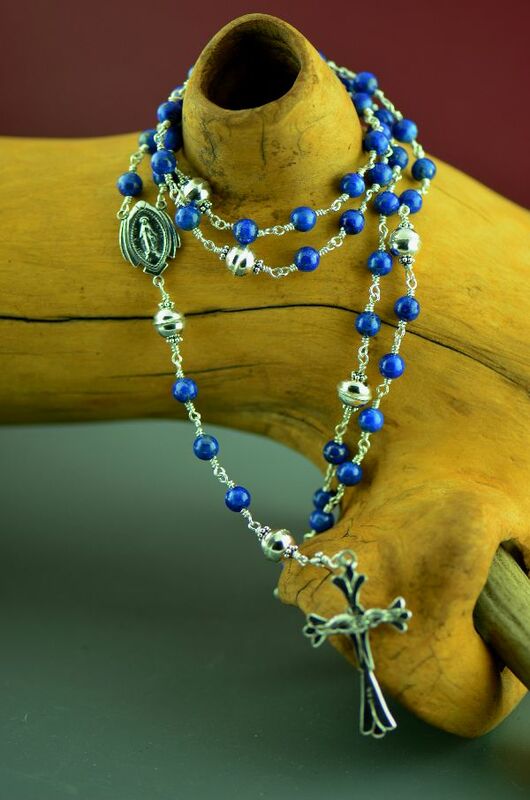 A complimentary 18” sterling silver chain is included. 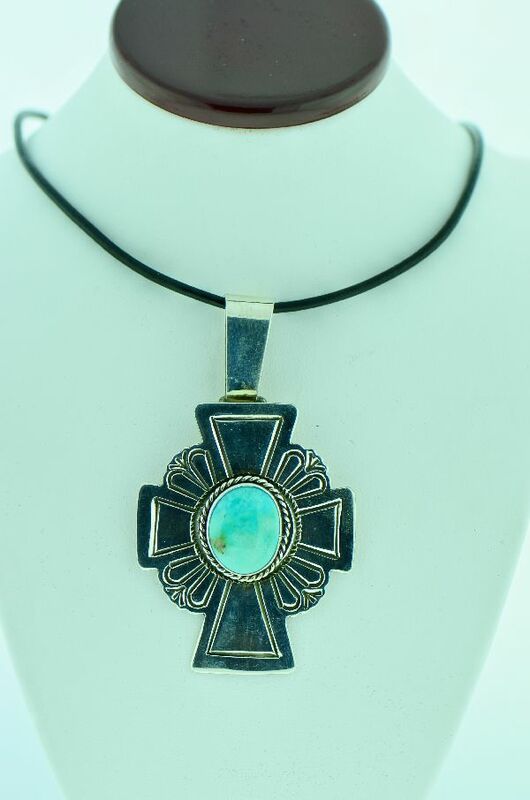 A third-generation silversmith whose grandfather Hatsetsenane (or Sneezing Man) was, according to Adair, "one of the first generation of Zuni smiths," Iule initially trained as a blacksmith at the Phoenix Indian School. 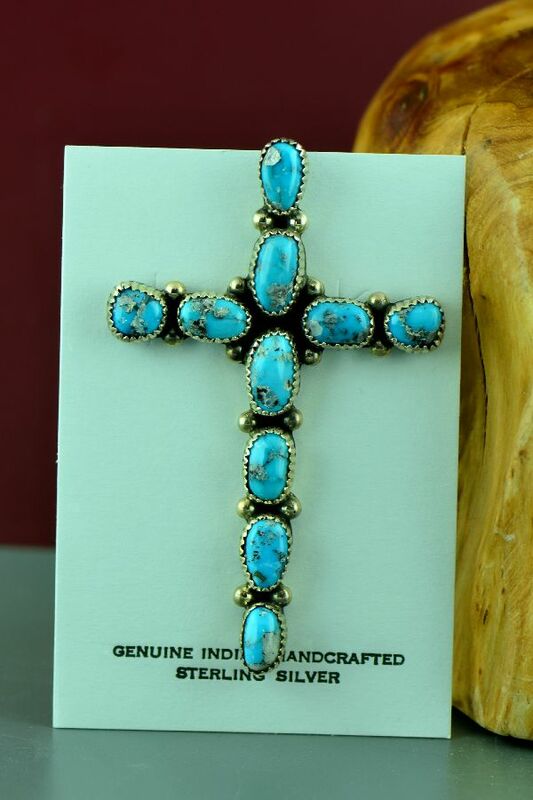 Iule learned silversmithing from his father after completing his education and returning to the pueblo in 1924.